We had a little and sweet girl arriving at midnight carrying all she could in an overstuffed school bag and coat pockets. Another girl had her social worker carrying canvas shopping bags full of randomly organised clothes and teddies. Another child carried all her belongings in two pink gift bags with a glittery princess printed on it. While sifting through their belongings I’m constantly surprised how disorganised and irrational the content of these bags can be: 3 pairs of socks but one single t-shirt, one extra pair of shoes but no underwear. The most consistent set of clothes they come with is what they have on them at the time they get to our place, and even that can consist of just a PJ’s, a winter jacket, and a hat. That’s how I first heard about the great work MadLug is doing, and has done in the last 3 years. We got in contact with Dave Linton, the company founder, who kindly agreed to tell us all about his company. Health Trusts don’t provide suitcases. Sometimes foster carers loan us a suitcase but more often our belongings are moved in black plastic bin bags and we lose our dignity. This statement really stuck with Dave and for the remainder of the evening he thought of nothing else but the fact that these children’s had no option but to move their belongings in bin bags. He went on to found, MadLug, a lifestyle brand selling luggage, backpacks, gym bags, and journals. Each sale made on the online shop is matched with a donation of a bag to a child in care. You can read the full story about MadLug here. If you too believe this initiative deserve your support, visit their site and purchase one of their fantastic products. Or if you are not in the market for a new bag but still want to be part of the movement, you can always make a donation. 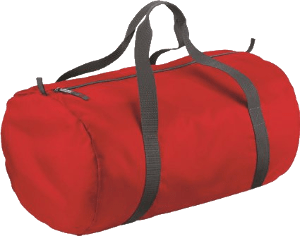 Thanks to your purchase, a bag will be given to a child or young person who otherwise will have not choice but use whatever bag she can find around. Moving children in bin bags was a thing of the past, and your contribution could make sure it stays that way. So… Happy shopping, and happy giving! PLEASE NOTE: Full Time Tired is not affiliated with MadLug, or with any of its partners. We just believe their work is important and we are proud to support their cause on our website. This is beautiful and I hope to have reason to purchase bags from them in the future. The story reminds me of a nurse I met in a local emergency room a couple years ago. While she was taking my child’s vitals, another nurse came in to announce a donation had arrived. Turns out, this nurse began seeing children moved from the ER to a foster home without a bag, teddy bear, pajamas, underwear, blanket, or even a toothbrush. So, she started a nonprofit to gather these items so no child would have to spend the night without something of her/his own.